Law clerk position for Judge Michael T. Downes, Presiding Judge of Snohomish County Superior Court. Law clerk duties include legal research and analysis, drafting of legal memoranda, review of pre-trial and post-trial motions, documents and correspondence, RALJ appeals, and advising the court on issues of law. Additionally, the law clerk provides administrative support – including supervision of jurors, scheduling, screening all correspondence and persons who wish to see the judge, and acting as a liaison between the judge and counsel, agencies and the media. Professor Lisa Manheim is seeking a research assistant to begin immediately and work through June 30. Applicants should be willing to work a total of approximately 85 hours during this period (or approximately 7 hours a week), though there is flexibility in terms of when these hours can be completed. The assistant will conduct a variety of research tasks relating to procedure, constitutional law, and election law. Interested candidates should email an expression of interest along with a resume, a law school transcript, and a list of three professor references to Professor Manheim. Placement: The program will place three bilingual (Spanish-speaking) law students in the Yakima Valley, with Northwest Justice Project, Northwest Immigrant Rights Project, and Columbia Legal Services. The students will work under the supervision of a team of experienced legal aid attorneys during the autumn academic term assisting farm workers on a wide variety of civil legal issues. A housing stipend of $500 per month will be provided by the Laurel Rubin Farmworker Justice Project to each extern to help offset the housing costs of relocating to Yakima for the fall term. 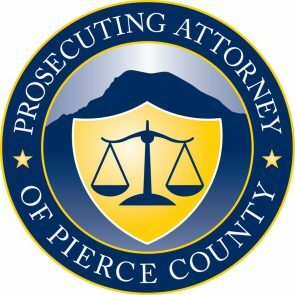 The Pierce County Prosecuting Attorney’s Office is currently recruiting for two Rule 9 Interns. Rule 9 certification required. This is a year-long commitment beginning June 2014 and going through the following school year. The intern is expected to work full-time (35 hours per week) during the summer and part-time (15-17 hours per week) during the following school year. Position is paid at $15/hr. One position is in our Civil Division. Interns in the Civil Division are work under the supervision of the risk management attorneys and are assigned legal research and writing duties. They also assist in trial preparation as needed. One position will be assigned to one of our various units within the Felony Division. Interns assigned to one of the felony units work with experience deputy prosecutors on felony related cases. The intern conducts legal research, writes briefs and memoranda and may argue motions in Superior Court. The intern may also have the opportunity to try a misdemeanor traffic case. For a complete job description and application instructions, click here. The State of North Dakota is undergoing a dynamic transformation of it energy sector. The North Dakota Public Service Commission has broad jurisdiction in a state experiencing substantial economic development in the energy industry. The Commission’s role in that development includes coal mining, public utility regulation and environmental siting for energy infrastructure. This offers potential interns the opportunity to gain hands-on experience working in a well-respected regulatory agency on cases and projects that are directly related to important national policy issues, including environmental regulation, energy development, and expansion and stabilization of the electric grid. The Intern will work with the Commission’s attorneys as well as Commissioners, division directors and technical staff. Preference will be given to second year law students with a strong interest in energy, agricultural, or environmental law. Some travel may be required and travel expenses will be reimbursed at the state employee rate. For a complete job description and application instructions, click here. Seattle City Light, Human Resources Division is seeking for an intern to join the Employee Relations Unit. The Employee Relations Intern will assist Employee Relations in processing requests for Family Medical Leave, requests for ADA accommodations, and the initial filing of Workers’ Compensation claims, and conducting investigations of claims regarding discrimination, ethical violations, and misconduct. Educational Benefit to the student: Opportunity to obtain experience proving real time advice (with supervision) on matters involving Family Medical Leave, Accommodations, alleged law and policy violations, and possibly Labor Relations. Experience in working in a collegial office atmosphere, providing support and Assisting with daily work demands. The Legislative Department, Central Staff Division, has an outstanding opportunity for an experienced Policy Analyst with an emphasis on Public Safety. Analysts conduct research and analysis on public policy and budget issues; evaluate proposed policy initiatives; draft legislation and make recommendations regarding local, regional, and state issues for Seattle’s full-time, nine-member City Council. Analysts work with the Councilmembers, Legislative Aides, high-level government officials, and a wide variety of stakeholders. This at-will appointment serves at the discretion of the Central Staff Director. This position will perform high level, independent policy analysis and advise the City Council on a wide range of policy and budget issues with a focus on public safety. Pending public safety issues include but are not limited to evaluation of crime prevention and reduction programs, tracking and projecting police staffing levels, monitoring the implementation of Police Department reform efforts, and analyzing police accountability measures and surveillance protocols. The Legal Aid Foundation of Los Angeles (LAFLA) is the frontline law firm for low-income people in Los Angeles and is currently accepting applications for the position Staff Attorney. LAFLA seeks to achieve equal justice for poor and low-income people in greater Los Angeles. We change lives through direct representation, systems change and community education. LAFLA’s Housing and Communities Workgroup consists of cross-substantive areas presently including housing, community economic development, and consumer (including unlawful foreclosure, unfair lending practices, title fraud, and negotiations with lenders). We often coordinate our services with other legal services programs, non-profits, and community-based organizations to successfully help our clients. For complete information and application details, click here. The Government Accountability Project (GAP) is a non-profit public interest organization and the nation’s leading whistleblower protection organization. GAP’s National Security & Human Rights program acts as both legal counsel to national security whistleblowers, and as an advocate for necessary changes to the system – both to better protect such employees, and to speak out in favor of greater overall transparency and against wrongful government and corporate behavior. The National Security & Human Rights program focuses its advocacy on government surveillance, excessive government secrecy, torture, and politically-motivated discrimination. National Security & Human Rights program clients include whistleblowers from the National Security Agency, Central Intelligence Agency, Federal Bureau of Investigation, Department of Defense, Department of Homeland Security, private government contracting firms, and other government agencies. For complete information and application details, click here. The Center for International Environmental Law (CIEL) is a non-profit, public interest environmental group committed to strengthening and using international law & institutions in order to protect the environment, promote human health, and ensure a just and sustainable society. We also assist non-governmental organizations and governments in developing countries who are working to strengthen their systems of environmental law. CIEL offers exceptional opportunities for aspiring lawyers who wish to become involved with cutting-edge international environmental law. Our internship program is a critically important component of the work of our organization. Many of our program areas explore innovative developments in international environmental law, so there is a great need for thoughtful and creative research and analysis. The fellowship program provides CIEL with a vitally important base of assistance in our work. For complete information and application details, click here. Dependency Mediation is a step in the process of juvenile dependency cases that seeks to address and resolve issues related to child abuse and neglect prior to adjudication by the court. Dependency mediation gives parents an opportunity to discuss allegations, recommended services and general case planning in a non-adversarial setting. The Dependency Mediation Program is seeking a part-time intern with an interest in mediation to support the program at the Youth Services Center. The intern will perform case preparation and case management duties, observe case proceedings in court, assist with dependency mediations and complete post-mediation follow-up and data tracking; individuals with previous training in mediation may also have an opportunity to co-mediate. The qualified applicant will have experience or demonstrated interest in conflict resolution and court-based programming, strong written/verbal/interpersonal communication skills, computer skills, and a proven sense of professionalism interacting with court staff and diverse client populations. For a complete description and application information, click here. The National Center on Protection Orders and Full Faith & Credit (NCPOFFC) was created in 1995 and operates under a cooperative agreement between the Battered Women’s Justice Project (BWJP) and the U.S. Department of Justice’s Office on Violence Against Women. NCPOFFC was created to promote and facilitate inter-jurisdictional enforcement of civil and criminal protection orders in state, tribal, and territorial courts pursuant to (18 U.S.C. § 2265) the Full Faith and Credit (FFC) provision of the Violence Against Women Act (VAWA). The internship is comprised of research and writing assignments involving compliance with the full faith and credit provision, and enforcement of federal and state firearm prohibitions, custody provisions in protection orders, and the federal domestic violence and stalking crimes. This is a 11-week unpaid internship program beginning May 19, 2014 and ending August 1, 2014. NCPOFFC staff will train and familiarize the intern with statutes and subject matters that they will be working with throughout the summer. Interns are required to attend trainings and supervision with their assigned attorney each week. For complete information and application details, click here. Photo courtesy of NCPOFFC. The Vance Center invites law students (1L, 2L, and incoming or just-graduated LLM students) with an interest and background in environmental law to apply for a 2-3 month internship for the summer of 2014. The internship, which will be located at the Vance Center’s offices in midtown Manhattan, offers opportunities to learn by doing, specifically supporting the staff of the Vance Center’s Environment Program. Summer interns also may participate in project teams of pro bono lawyers from one or more New York City-based law firm working on pro bono matters and may attend Vance Center, Vance Center Committee law firm, and New York City Bar Association events, including weekly brown bag lectures, along with other interns working at the NYC Bar Association. The summer program runs eight to twelve weeks, from approximately early June through early August. For complete information and application details, click here. This position will involve developing sound legal arguments and effective advocacy strategies on a range of human rights issues, facilitating capacity building and technical support of members to utilize international and regional human rights mechanisms, and undertaking or coordinating research and related writing and editing to support legal resource development. The Senior Legal Officer will work in support of the collective efforts of members and in close collaboration with program staff tasked with coordinating thematic working groups, foremost on women and ESCR and secondarily on corporate accountability, economic policy, strategic litigation of ESCR, and monitoring, as well as urgent solidarity actions. The ideal candidate is someone who has substantial knowledge of the field of human rights, including ESC rights and litigation. The candidate should have strong interpersonal and coordination skills; work well in collaborative processes, especially between international organizations and grassroots groups; and should be energized by and comfortable with a wide range of organizations, working styles, and issues. For complete information and application details, click here. The American Bar Association seeks to hire a staff attorney in its Criminal Justice Section. The position provides substantive support and expertise to the ABA Criminal Justice Section, including considerable time supporting Section leadership in researching and developing policy and programming focused on various areas of criminal law including, but not limited to: prosecution, defense, sentencing, domestic and international white collar crime, regulatory compliance, cross-border and internal investigations, cyber crime and security, corporate social responsibility, discovery, ethics, and the judiciary. Supervised by a more senior attorney or experienced professional. Includes research, writing, and speaking. May have supervisory duties of non-attorney staff and grant project personnel. For a complete job description and application instructions, click here. The American Bar Association seeks to hire a senior specialist in Communications and Media Relations. The specialist will serve as staff writer for the division in the Chicago and DC offices respectively and devise public relations strategy. Additionally, this position provides public relations counsel to ABA sections, commissions and presidential initiatives and assists junior staff with their public relations assignments. This position also plans and writes stories for division publications for members and the media. For a complete job description and application instructions, click here.